Rings Up! offers you more than 50 original challenges to face your friends. Everyone will ask you for speed, observation and agility to be the best. Several game modes will allow you to enjoy the game with friends or family. 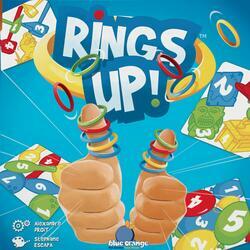 The players will have to be observant and fast to succeed to make the combinations of rings on their thumb. The first player to succeed 7 times wins the game.